PROUD TO BE A YOUNG AND BUSY COLORADO CHAPTER! Broomfield Chapter, Order of DeMolay meets every 1st and 3rd Thursdays of each month in Broomfield Colorado. Our meetings begin at 7:15 pm and usually last an hour. Every 1st meeting of the month is a formal meeting, and the 2nd meeting is a casual meeting. WHAT IS BROOMFIELD CHAPTER UP TO NOW?? 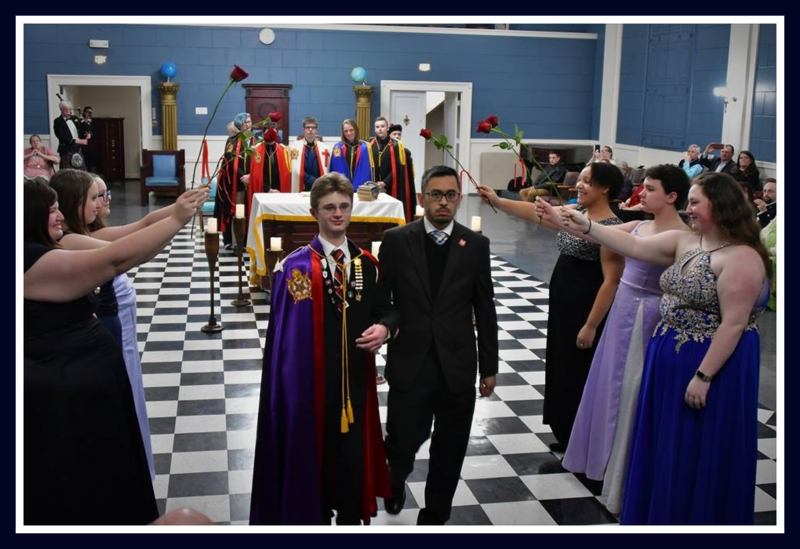 Broomfield Chapter has now started their new term and has just seen the installation of our new Master Councilor, Chase G. Our installation featured members wearing colored capes, an arch of roses and a surprise performance from a member of the El Jebel Shrine Pipe Band. Following the installation, we held a fun relay race that kicked off the theme of this term, "Life Is a Highway" and raised funds for the Denver Dumb Friends Leaque. We will be holding several activities during this new term, including observances of Obligatory Days. At the first meeting of this term, we are inviting veterans to come tell their stories, handing out "Stars for Our Troops" and Chase will be playing "Taps" on his trumpet. Also at this meeting, we will be initiating two new members. On Friday, February 22nd, we are holding our regular game night from 6:00 pm to 9:00 pm at Eastlake lodge. On March 17th, we will be going to Trinity Methodist Church for Devotional Day. Afterward, we are holding a Saint Patrick's Day party at the Foster-Gerton's house where there will be corned beef and cabbage. With a new term just beginning, there will be many fun events and we hope to see you there! 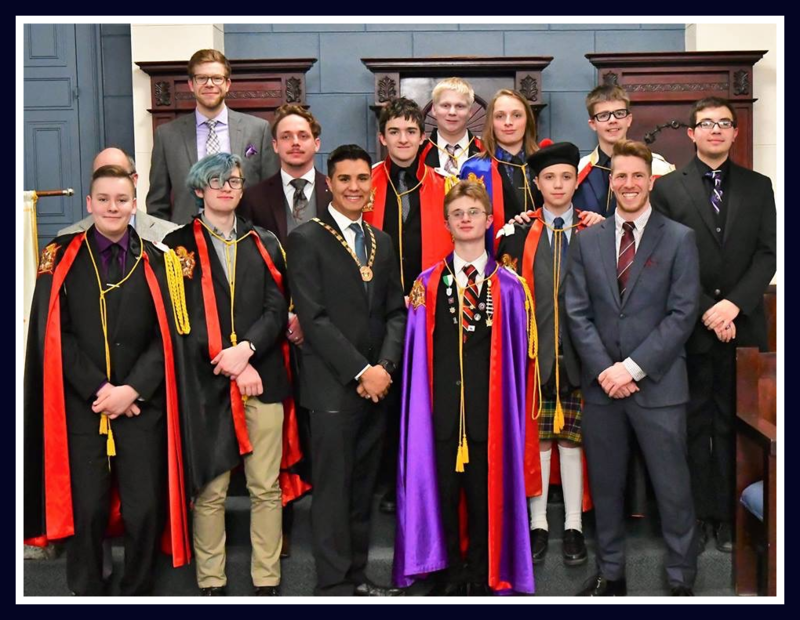 Please keep track of the Colorado DeMolay Calendar to see all events across the state, especially those of the Broomfield Chapter of DeMolay.